Those with the least saved are the most stoked about house price growth. A for sale sign outside a house in Vaughan, Ont. One of Canada's most prominent financial regulators is warning that Canadians may be growing too reliant on rising house prices for their retirement. One of Canada's most prominent financial regulators is warning that Canadians may be growing too reliant on rising house prices for their retirement. In a survey carried out for the Ontario Securities Commission (OSC), 45 per cent of Ontario homeowners aged 45 and over said they are relying on the value of their home increasing to fund their retirement. Those in Toronto's pricey housing market, those with low incomes, as well as those with no investments other than their home, were most likely to be relying on house price growth, the survey found. 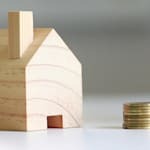 The survey found that nearly four in 10 (38 per cent) of "pre-retirees" aged 45 and over who own their own home have no investment savings. "The smaller the amount of investment savings, the more likely the pre-retiree is to rely on an increase in their home's value to finance their retirement," the survey authors noted. The same is true of mortgage size: "The larger the pre-retiree mortgage, the greater the reliance on increasing home values." That isn't sitting well with the OSC. "Owning a home is not a substitute for retirement planning," OSC's Invevstor's Office director Tyler Fleming said in a statement. Counting on house-price growth to fund retirement is becoming an increasingly risky strategy, as many of Canada's previously hot housing markets are now showing signs of strain. Toronto's average single-family house price has fallen 24.5 per cent since the provincial government announced new housing rules in April, meant to cool off rapidly rising house prices. Condo prices are down about 6.2 per cent in that time. Vancouver's market is showing signs of a rebound after swooning following the introduction of a foreign buyer's tax last year, but house price growth in the city has fizzled. 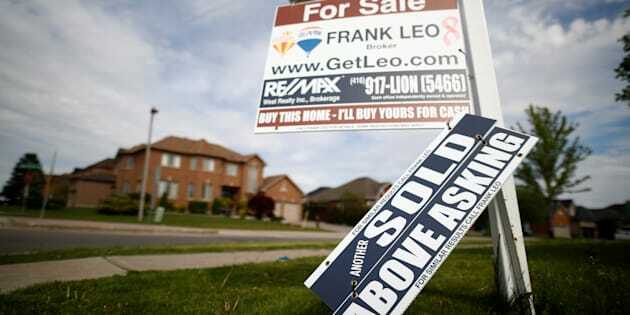 A growing number of experts say Canada's housing markets will face even more downward pressure, now that interest rates have begun to rise in the country, increasing the borrowing cost of mortgages. In a forecast issued earlier this month, Moody's Analytics predicted that home prices will fall moderately in a majority of Canadian cities over the next five years, including in Calgary, Edmonton, Montreal, Vancouver and Winnipeg. However, due to strong demand, the forecast predicted house prices would bounce back in Toronto and continue to rise, thanks to high demand and low supply — albeit not as quickly as they rose in recent years.